Suzanne Spellen has an update of an old piece of hers up at Brownstoner, “Courting History in East New York.” In it, she discusses several of the small magistrate’s courthouses constructed in Brooklyn in the early 1900s. These buildings were, as I understand it, part of a reaction against the rapidly increasing size of the city: misdemeanors and other non-serious crimes could be dealt with locally, leaving the huge downtown courthouses for the serious felonies. Since the architectural style of city government in general and courthouses in particular at that time was the American Renaissance, we have these relatively small buildings with severe classical exteriors. 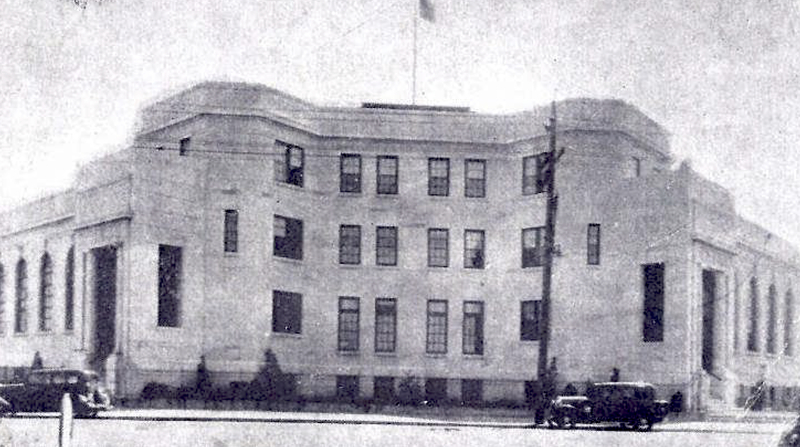 Then the cycle of centralization versus local control turned, and these courthouses were abandoned or repurposed, as all of the trials were moved downtown. Some years ago, I worked on another of these courthouses, the Rockaway Courthouse in Queens. It was built at the end of the localization era, in 1931, and so was a not quite as classical on the outside, but rather the hybrid of modernist and classical that was popular for government buildings then. The context for the Brooklyn courthouses were the commercial streets of dense residential areas; the Rockaway Courthouse is two blocks from the beach and surrounded by small bungalows. It is astonishing out of scale for everything around it, which is perhaps one way to draw attention architecturally. 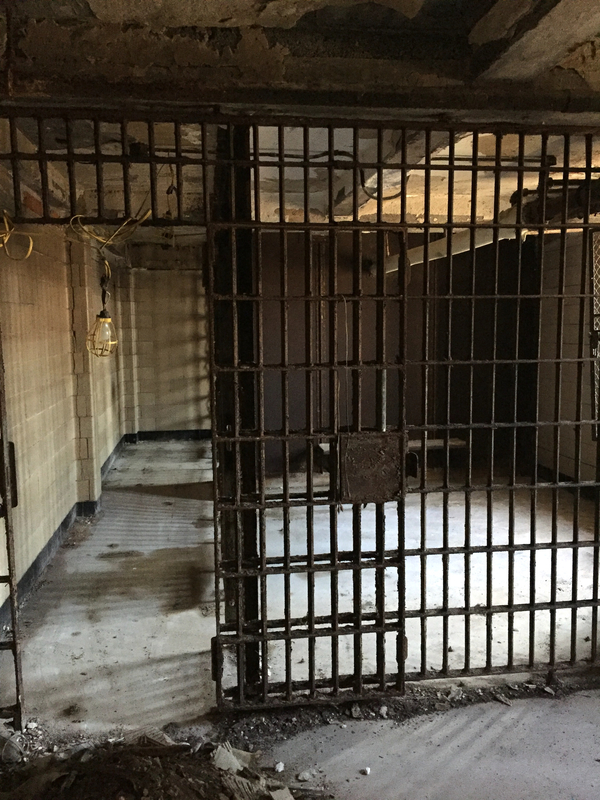 The exterior and two main courtrooms were quite impressive, while the rest of the building while the rest of the building was a rabbit warren of small offices and jail cells. I took the top picture in the basement there.